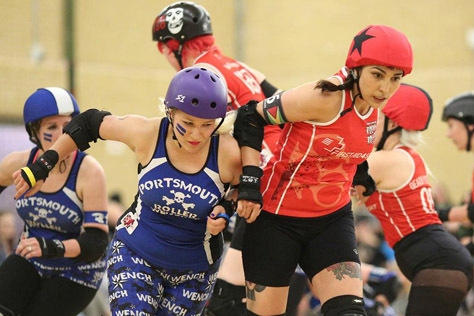 This weekend saw British Championships action in Haywards Heath as the mighty Brighton Rockers hosted a Division 2 South double header event. 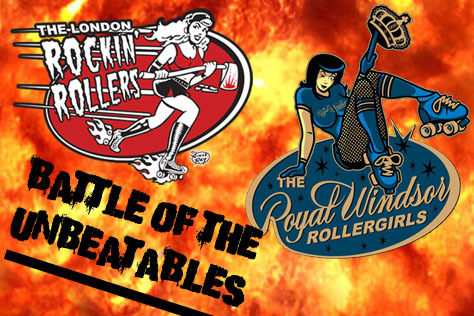 The day featured a game between the division’s unbeaten sides London Rockin’ Rollers and Royal Windsor Rollergirls, as well as a vital relegation battle match-up between the Rockers and Portsmouth Roller Wenches. 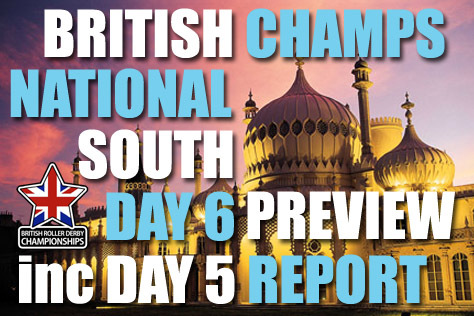 We’ll have a full report on the day’s events in the next week or so. 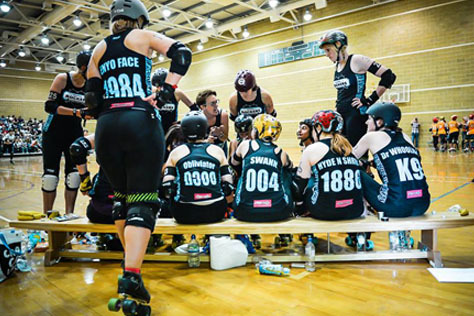 Did you miss out on a copy of the fanzine we gave out on Saturday? 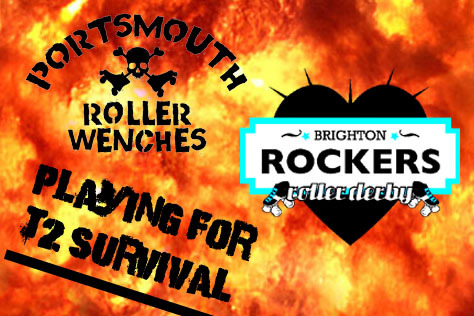 It features interviews with all four competing teams, as well as spotlights on the Rockers 2015 Fresh Meat intake and next weekend’s Eastbourne Extreme tournament. 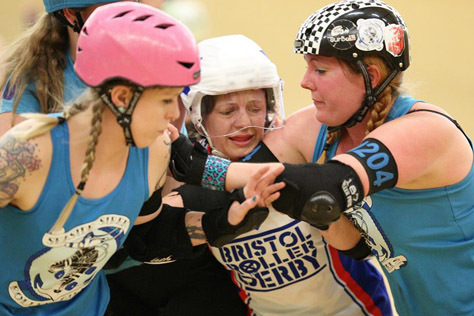 Click on the image above to read the online version, or get yourself down to the Evening Star pub near Brighton Station to pick up a free physical copy (from the shelves by the ladies loo) while stocks last.